Backlist: Get Ready to Read! This is a five-star effort by the author of Team of Rivals and a woman who is an outstanding historian. The background of her tale is the start of the twentieth century and she portrays with great excitement the possibilities of that era and the feeling that everything was up for grabs. She reveals the corruption of the politicians and robber barons of the late nineteenth century and how their ways needed to be addressed and challenged. As always, Goodwin writes after huge research and with great detail; and the characters are so completely and freshly embodied that they become like actual people you’ve actually met. 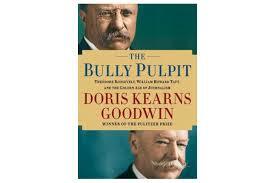 At the centre of the story is the decades-long friendship between Theodore Roosevelt and William Howard Taft. Between them and together these two men take on the monopolies, the power of the bosses, the clear need for the protection of labour and the need for sweeping reforms. 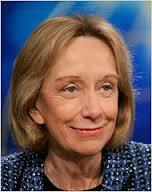 Central to their work is muckraking journalism and its growth at the time. The true purpose and history of investigative journalism starts here! The fraudulent businessmen and senators are also all here – and you are provoked to wonder how much has changed and what needs an exposé written today. This is a brilliantlyconvincing book about the need for change and for fairness and justice, both then and now. It also makes me want to know even more about William Howard Taft, who ultimately–after his presidency– became America’s Chief Justice. As with all of Kearns’ books, a bit of mental and physical effort is required. But stick with it. It’s definitely worth the exercise! I gather this book has divided the critics. I am firmly on the “pro-Tartt” side! Yes, it has flaws. Yes, it probably is about 10-15% overwritten and could do with a bit of pruning. And yet … and yet … The cumulative impact of this novel is much like that of Dickens or Dostoevsky or George Eliot. Its range of references is startling and its cultural intelligence awesome. The book is extremely well-written throughout, and in its portrayal of the State of the Nation Today it’s breathtaking in capturing every nuance from upstart and established “high society” in New York to flophouse thugs in Las Vegas; from genuine appreciation of “high art” that provokes appreciation of great painting, music, and literature, to a portrayal of “tacky” that is energetic, authentic and totally irresistible. Its range of popular culture references is delightful and huge. The people in this novel are extremely real–especially the boy Theo, around whom it centres. Theo’s adventures clearly want us to reference Huck Finn and the Holden Caulfield of Catcher in the Rye; but the overall structure and approach is modern-day Dickensian and the plot and characters in some ways offer a mixture of Oliver Twist and Great Expectations brought into the modern world. None of this feels self-conscious. And though you could write a footnote to each page, you can also read the book as simply a rip-roaring up-to-the-minute adventure/thriller. Also, referencing books like The Great Gatsby, this novel is told in the voice of a narrator whom one comes to realize is not entirely reliable, has hidden agendas, and doesn’t always remember things as he should. It makes the ending problematic for some. 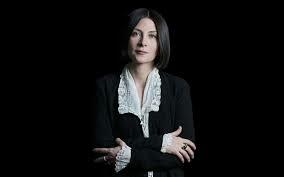 Are we to believe the philosophizing is Donna Tartt’s summary of her meanings? Or, as I prefer to think, are we to be wary of Theo’s conclusions? The energy never flags; and the writing is never anything but superb. Donna Tartt catches tones of voice of a range of characters from all walks of life, describe her settings meticulously (Park Avenue, collapsed real estate developments in Las Vegas, Amsterdam) and writes a book you believe, even though it begins with a parallel world terrorist attack that never happened. Once you accept that, the rest simply makes sense and you are off skiing down the steepest fictional slopes in some time. The detail and dialogue also make me think of a latter day Henry James. 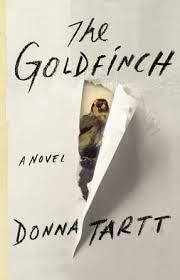 Donna Tartt has put ten years into writing this novel and I think it was worth every second; she delivers one of the best reading experiences of this or any other year. The writer of The Moonstone, the book T. S. Eliot called the ‘greatest’ English detective novel, was a man of secrets and mysteries as weird as some of his fictional plots. 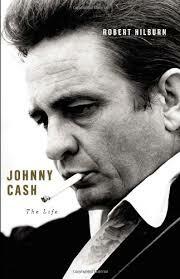 This excellent biography tells you all about it. 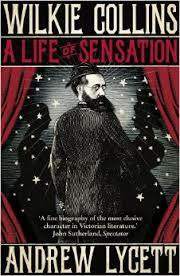 In a colourful book, Lycett gives Collins a well-deserved place alongside his friend Charles Dickens. This book is rich, illuminating and utterly frank telling of the life story by a music journalist who knew Cash, and his wife June Carter well. This convinces one that Johnny Cash achieved real and, at times, profound artistry – and lived through highs and lows that verge on the mythic. Full of original research and access to materials the family had never before shown, this is a strong and compelling telling of the life story of one of the most influential musicians of popular culture, both in the worlds of Country and Western and Rock. With all the reminiscences and retellings of the tales of World War I, its outbreak, its aftermaths, this is an essential and fascinating reference book. 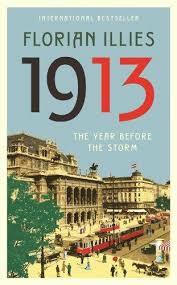 What happened month by month in 1913 – especially in the world of culture? Through little snippets of biography and documentary evidence, we experience the world of Picasso and Stravinsky, of Rilke and Freud and Jung, of the emerging talents of Coco Chanel and Charlie Chaplin – a world that was about to be blown away by a war that is somehow implicit and yet, one thinks, avoidable still. Poignant and laconic, this is a powerful evocation of what Hobsbawm saw as the final year of the long 19th century and the beginning of the turbulent, awkward 20th century. Put it on the shelf next to Edmund de Waal’s The Hare with the Amber Eyes. The novelization of all the characters and all the convolutions that you ever wanted to know about the Dreyfus Affair in France and were too confused to figure out. At last, all is clear! If you pay attention, that is. 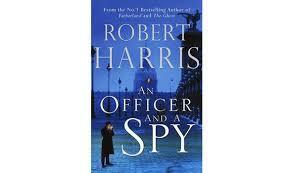 As convincing as his books about Cicero, Harris did his research for us all. Fact and fiction are reliably integrated. 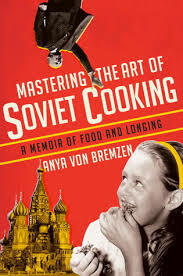 Heartbreaking, poignant, angry and comic by turns, this is a memoir of growing up in the Soviet Union and then becoming a refugee or exile in America, all seen through the prism of Soviet cooking and the food that was available or unavailable to Anya and her mother in Russia. My wife, who is Polish, related to descriptions of the long queues, the rationing and the disappointments that are described and found it all personally evocative; and we both related to the warm portrayals of the people and the fearsome and sometimes funny experiences. A unique social history, this book is a reminder of the cultural, personal and nutritional contributions to our lives of good (and bad) food. It’s also a charming, heart-warming read! 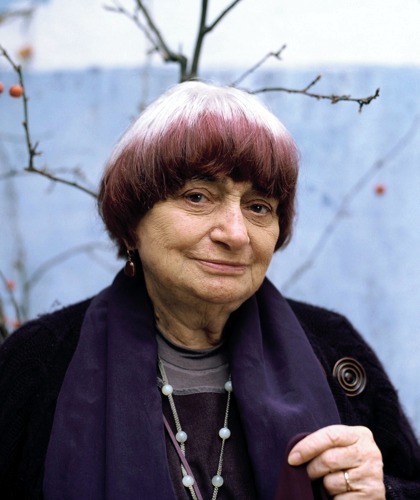 But before getting into the nitty-gritty, go to http://www.filmlinc.com/films and book now for Agnes Varda’s The Gleaners and I and Daguerreotypes— two of the great filmmaker’s greatest films. 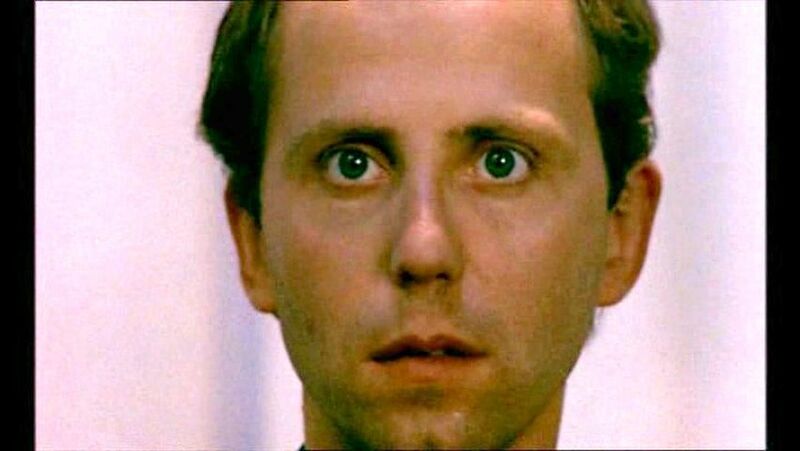 Then move on to Eric Rohmer’s Full Moon in Paris (gorgeously restored, and starring a very young and already perpetually surprised-looking Fabrice Lucchini) and the brand-new and brilliant Dior and I. Then heave a sigh of relief: this spring and summer promise to be an exceptionally strong season at all four screens on 65th Street, and will provide welcome relief from the usual glut of Great Big Blockbusters. Now. Which comes first – chicken or egg; words or music? Do films drive culture like advance scouts, or do they follow trends that come from everywhere, coalescing into a digital present? Look at it this way: the treatment that seemed like a sure thing when it was written (often a decade or more ago) may not leap seamlessly into completion. You’ll rewrite and rewrite. You’ll make a related short. No matter who you are, where you live, or how seductive your portfolio, stuff happens. So, when it finally hits the theatres, it may actually reflect a mindset gone by. With this year’s ND/NF at MoMA and FSLC, an unusually varied slate , there were no definitive answers to the question. However, there were several captivating works that looked forward, backward, and into the heart of darkness. But diversity (and more than a little disfunction) were the threads that bound the choices together. 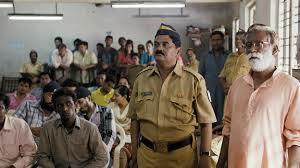 Court (Chaitanya Tamhane’s first feature) was a peek under the tent of justice in Mumbai—a fascinating mixture of Bleak House and A Separation (seldom mentioned in the same sentence) built around the story of a traditional poet/musician who—by a monumental miscarriage of justice—is accused of having caused the suicide of a sewage worker. It becomes increasingly hypnotic as the far-fetched charges are brought, tried and re-tried over time in four languages. The film follows not only the obviously innocent performer, but the judge and the lawyers for both the defense and the prosecution as they go about their lives in between increasingly preposterous sessions in court. Rising far above the formulaic courtroom dramas that clog our theatre and television screens. Court has been collecting major awards as it plies the festival circuit, and will open in New York and around the US this summer (Zeitgeist Films). See it! The Creation of Meaning (Simone Rapisarda Casanova) is full of ideas, intricately and creatively connected in Casanova’s imagination and in person by Pacifico Pieruccioni, who lives in Tuscany’s hills much as people have lived for millennia. Although he raises crops and animals for food and company (his donkey is hard to resist), his life is made by hand. It is labor-intensive enough to disqualify as an idyll, but its value is seen, heard, and felt as he herds his sheep, makes cheese from their milk, collects eggs from his chickens, and gravel for a road using a zipline. He bathes in a homemade shower when the day is over, joins his neighbors for a potluck lunch, and takes in the Olympian scenery with the same dedication he bestows on his chores. The framework for this immersion in the natural world is the relationship between Germany and Italy (both of which became nations only in the mid-nineteenth century, but whose emnity as peoples stretches far back into history). 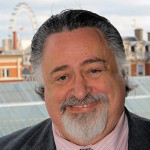 Pierruccioni’s concern with that history is manifest in the stories he tells children about what happened during World War Two; told and re-told, they have become the stuff of local legend. Intercut with the stories we see a group of actors playing out encounters between Nazis and Partisans, and an excerpt from a short film on the same subject. 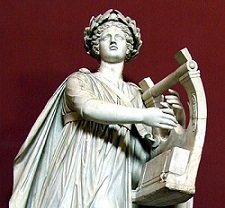 What is clear is that these stories are not only real, but exist in an eternal present, already mythic, for the listeners, often in gruesome detail. http://en.ibidemfilms.org/the_creation_of_meaning.html What is also real is the intrusion of 21st-century problems that create anxiety even in these remote hills and forests. Prices are high for what cannot be grown or made by hand, and the threat of new landlords from the cities who may evict the tenant farmers hovers over the scenery like fog. Pierrucioni’s antique radio provides a steady soundtrack of pop culture, and speeches by Berlusconi play an ironic counterpoint to the hard routines of his life. The scenery and cinematography are breathtaking, and the total immersion in the material is like slow food; sensual and deeply satisfying. This is Casanova’s second feature and displays an original sensibility that will grow stronger (and perhaps a bit leaner) as he explores it. 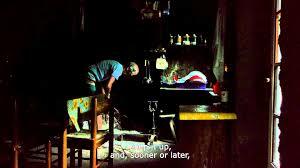 Goodnight Mommy (Severin Fiala and Veronika Franz) Described as a “cerebral horror-thriller,” this Austrian film is very much in the fach of Michael Haneke, and a European counterpart of the FSLC’s recent Babadook. In other words, be prepared to be scared and prepare to enjoy every escalation of the scare. With the jolt of a twisty wind-down and ending (no spoilers here), top-notch 35mm production values, and storytelling by those who know the craft, it’s worth the shivers. 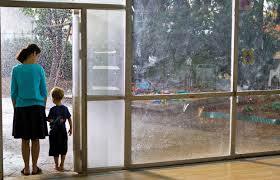 The Kindergarten Teacher (Nadav Lapid). Definitely one of the top favorites of the press corps, the film has an original story and a remarkable cast. A five-year-old prodigy (Avi Shnaidman) has the gift of poetry, which he declaims as the spirit moves him, pacing back and forth in trances of ideas and thickets of prose. His teacher (Sarit Larry) sees his genius and becomes more and more deeply enmeshed in both exploiting it and protecting the child, whose father is against her efforts. But nothing is simple here. The child’s nanny claims the poems as her own, and even the teacher is guilty of pretending to have written some of them when she wants acclaim from her poetry group. To complicate things even more, the child’s father (a successful developer) refuses to encourage his son’s gifts, and forbids the teacher to continue her role of enabler. Yet her passion for genius overcomes both her reason and her relationships with her own family. The conclusion is overwrought, but the film will keep you glued to your seat, and offers a powerful testament to Lapid’s abilities to create a script and complex characters to cook up the glue. Parabellum (Lukas Valenta Rinner) A truly dystopian and brilliantly executed work that marries science fiction and possible reality, Parabellum is a logical working-out of survivalist paranoia (but without the noise that usually characterizes the genre). 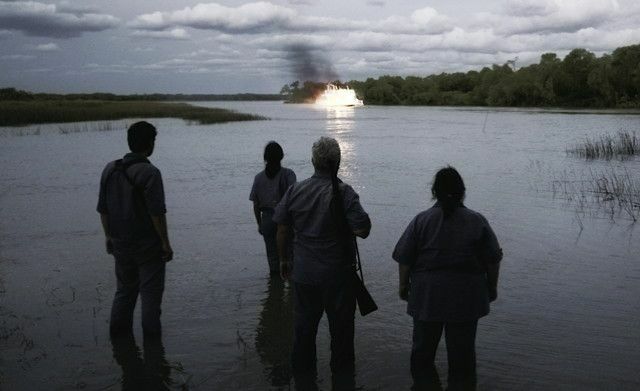 A group of urban Argentinians, strangers to one another but committed to the idea that civilization is about to crumble, meet at a real-life survivalist camp in the wild to learn how to live through ultimate chaos. They transform from fearful out-of-shape civilians into robotic futurists determined to thrive and prevail by any means. This is Rinner’s first feature as director and writer. He has a distinct talent for atmosphere, for creative sound design (sans movie music), and very little dialogue. Yet the menace of a world in its end days (with comets and distant explosions ratcheting up the tension) is very much under his hand and eye. With his grasp of atmosphere, rhythm, and human nature, there should be more to come. The Tribe (Miroslav Slaboshpitsky) The Tribe can truthfully be described as the most dystopian fable of all at NDNF. It arrived trailing a cartload of awards for both film and director, including four from Cannes alone, several 10-star user reviews at IMDb and–yes –four 100s from Metacritics. That said, its theme of the corruption of an innocent and sometimes hard-to-watch extreme cruelty by its adolescents at a school for the deaf is tough going. There is no dialogue, and none needed; every episode and action are clear, marked only by whatever natural sound is appropriate. Although Shlaboshpitsky has created several shorts (including one called Deafness), this is his debut feature. If taking Parabellum and The Tribe as auguries of silence being the new cinematic noise, it’s clear that, for Shlaboshpitsky, the future also beckons. Western (Bill Ross and Turner Ross) Although its elegaic tone and ending cannot be described as happy, Western truly satisfies from its opening beauty shot of the Rio Grande at sunrise to its last, of its former mayor (Chad Foster) looking out over the river. 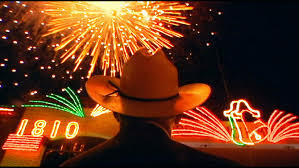 The Rosses have created a loving portrait of two towns–Eagle Pass, Texas and Piedra Negras, Mexico–and the people who live in them. Called “Paradise” by residents, their distinctive, peaceable way of life is coming to an end. Not because of obsolescence, but because of the miasma of the drug trade which has increasingly poisoned the human environment as surely as the venom of a rattlesnake bite. The Rosses have chosen to show, by indirection, exactly what the consequence are, and how they impact the characters it’s hard not to care about. There is always a stillness at the film’s heart, and a realization that everything that has earned Paradise its affectionate nickname will change with the times.